Summer time is the peak season in Rome. The weather is warm but many schools have breaks, so the city is crowded and room rates are at their highest. Winter time is a good time to visit Rome. 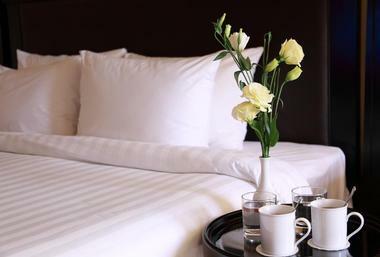 There are very few visitors and room rates are considerably lower. The temperatures can be cool to cold, so you will need a warm coat. One of the best times to visit Rome is May before the crowds arrive and when the city starts to warm up and flowers are in bloom. September is another good time to visit because the temperatures are still comfortable and the crowds have left. January is the coldest month of the year in Rome with chilly temperatures of 37°F (3°C) and 55°F (13°C) for the average low and average high temperatures respectively. The cold climate is matched by 6 hours of daily sunshine – the lowest levels of sunlight in the year. In February, the high temperature averages increase by a few degrees to 57°F (14°C). In contrast, the average low temperatures hold steady at cold 37°F (3°C). March is beautiful in Romewith temperatures beginning to get warmer faster. The average high and average low temperatures range between 63°F (17°C) and 43°F (6°C). Rainfall is low in March with precipitation rates barely hitting 19 mm. In April, the average high temperatures rise further to 68°F (20°C). The warmer days are matched by beautiful sunny days averaging 10 hours of sunshine. Rome Weather in May: The final month of spring comes in May along with a high temperature average of 75°F (24°C). Low temperatures measure in at 55°F (13°C). In June, the average high temperature rises by nearly 10 degrees to 84°F (29°C) as summer arrives in Rome. Meanwhile, the average low temperature also rises significantly to 63°F (17°C). July is the hottest month of the year in Rome with the high temperature averages shooting up to 90°F (32°C). The low temperature average, on the other hand, only increases by a few degrees to 63°F (17°C). The peak of summer is matched by beautifully long days with 14 hours of daily average sunshine. Rome Weather in August: It’s a fantastic month for outdoor water activities or traveling to beaches near Rome as the sea temperatures average at 79°F (26°C). It’s also the driest month annually with no rainfall expected at all. The average high temperature and average low temperature range between 86°F (30°C) and 64°F (18°C). September marks the beginning of Rome’s autumn season as seen by the average low and average high temperatures decreasing to 61°F (16°C) and 81°F (27°C) respectively. The days get slightly shorter with the daily average sunshine falling to 10 hours per day. In October, the rainfall is moderate to low with just 38 mm for the precipitation average. The average high temperature takes a steep decrease to 81°F (27°C) while the average low temperature goes down a few degrees to 61°F (16°C). Rome Weather in November: High temperature averages take another steep dive in November falling to 64°F (18°C). There’s a noteworthy decrease in the low temperature averages as well which settle at 46°F (8°C). December receives the highest precipitation average of the year with 96 mm of rainfall. An average high temperature of 59°F (15°C) and average low temperature of 39°F (4°C) marks the arrival of winter in this historic Italian city. 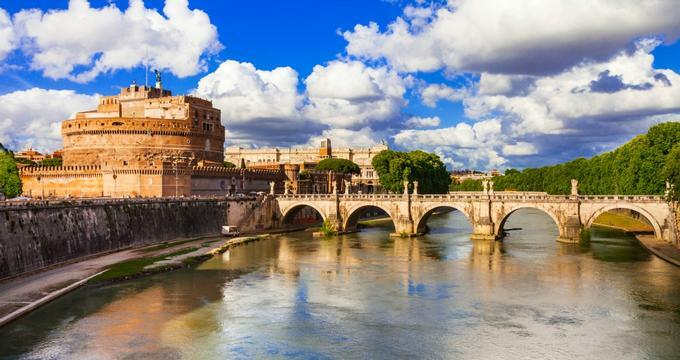 Rome is a gorgeous city to visit at any time of the year, but just like any other dream destination, there are certain factors that might weigh in on when you should visit. For example, for travelers that want to avoid the bulk of the tourist crowds, the best time to visit Rome is between the months of October and April. If you aren’t too keen on cold weather, however, May through September is also an ideal time to visit as there aren’t many tourists and the humidity isn’t too harsh. Deal hunting tourists will have the best luck in visiting anytime between October and April while those who want to enjoy the popular Piazza Navona Christmas Market should visit between November and January. If you arrive by plane you will land at Rome’s Leonardo da Vinci International Airport: it is often referred to as Fiumicino Airport. It is located 19 miles from the center of the city. If you are arriving from another city in Europe, you might land at the other airport called Ciampino Airport which is closer to the city. Europe is known for its fast and efficient trains, so people often arrive at Rome’s Stazione Termini by train. This is in the heart of the city and is the hub for trains, buses, and the Metro system. Buses arrive at this station from cities all over Europe. Getting from the Leonardo da Vinci International Airport into Rome is easy because there is a special train that goes directly from the airport to the Stazione Termini: it is called the Leonardo Express and it is by far the best way to get into the city from this airport. 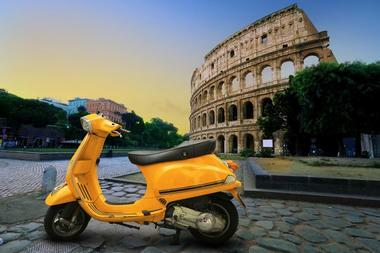 There are also car rental agencies but driving in Rome can be a nightmare. The other option is to take a taxi from the airport into the city: there are taxi stands just outside the terminal. To get into Rome from the Ciampino Airport there is a bus called the Terravision Bus: this delivers you to the Stazione Termini in about 45 minutes. There are also taxis at this airport. Rome has a large number of tourist information centers: these are called Tourist Information Points, or PITs. There are some 15 of these information centers: the first one you might encounter is the one at PIT Fiumicino at the Leonardo Da Vinci International Airport in arrivals; or the PIT Ciampino, at the Ciampino Airport in arrivals. The most popular PIT and the one with the longest lines is the PIT Termini at the Stazione Termini. This one is convenient if you arrive by bus or train, but because of the crowds, it’s probably best if you can use one of the other PITs. All of the PITs are staffed by professionals and you can pick up maps and brochures. Rome offers a variety of ways to see all of its exciting attractions. The Metropolitana, or Metro for short, is Rome’s extensive subway system. It is a fast way to get around the city and stations are located close to many of the most frequented tourist attractions. There are two lines, Line A and Line B; you can buy single fares or daily or weekly passes. Buses and trams complement the Metro system although they are a slower way of getting around than by using the Metro. Like the Metro, you can buy single fares for the buses and for the trams, or you can buy passes. 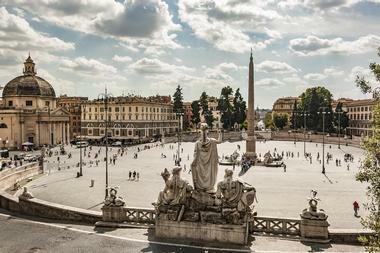 Walking is one of the best ways to see Rome: many of the main attractions are relatively close to each other. The other advantage to walking is that many of the attractions are located in traffic-free zone, making walking quite easy. Walking and using a bicycle are good ideas for getting around Rome because of its many medieval alleys and small piazzas. Bikes can be rented and there are designated bike lanes in Rome. Driving a car in Rome is not recommended: drivers are aggressive and parking is scarce. 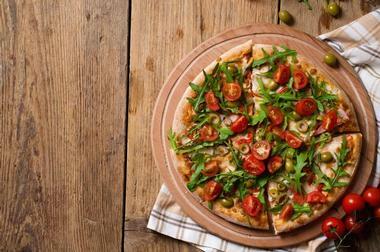 If you need a taxi, ask your hotel or restaurant to call one for you. 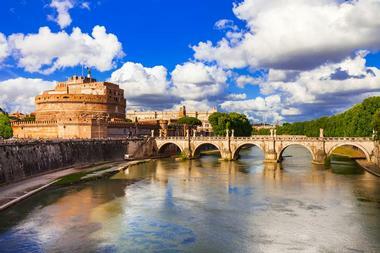 There are several tourist buses that offer a stress free way to see Rome. 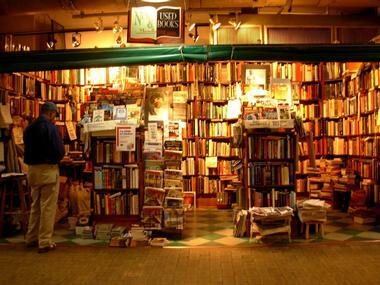 Rome is famous for its shopping: not only its goods but its many shops and stores. There are many high fashion stores in the area at the bottom of the famous Spanish Steps. Rome’s most famous shopping street is Via Condotti where you will find all of the top designers’ shops. Via Borgognona is another well-known high-end shopping street. On the other hand shopping areas like Monti have no brand names and are known for the independent artisan vendors and boutiques. If you are looking for antiques, head for Via dei Coronari: this is a pedestrian only street and it will take you an hour to browse from one end to the other. Rome is a large city divided by the Tiber River: on the west side is the Vatican and on the east you’ll find most of the ancient attractions. 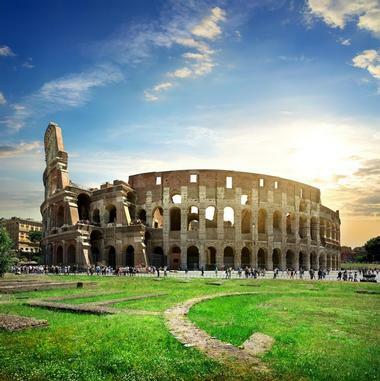 The sights in Ancient Rome include the Colosseum, the Roman Forum, the Palatine Hill, and the Circus Maximus. The Corso and Spagna neighborhoods are known for the Trevi Fountain and the Spanish Steps. Navona and Campo are home to the Pantheon, Piazza Navona, and the Campo de’Fiori. Vatican City is a separate country sitting in the middle of Rome. Here you can see St. Peter’s Square and Basilica, the Vatican Museums, and the famous Swiss Guards. 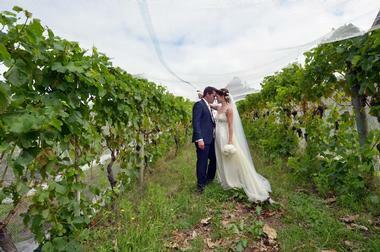 Rome is a city full of ancient monuments and picturesque piazzas: it is the perfect city for a wedding. Foreigners can get married in Italy: it requires a certain amount of paperwork and you can opt for a civil ceremony in any of four halls in Rome. If you are interested in a wedding in a church, you should try to find out availability as soon as you can because the waiting time can be quite long. You can even get married in St. Peter’s Basilica! The Cappella del Coro, or Choir Chapel, is available for weddings. Other venues include hotels, gardens, palaces, villas, and even the Roman Forum.